A Kansas native, Dave Axland moved to Corpus Christi, TX shortly after receiving a degree in Turf Mgmt. from Kansas State University in 1983. It was there that he met Bill Coore and joined the crew for the construction of Bill’s project, Kings Crossing C.C. Soon after, Bill Coore and Ben Crenshaw partnered to form Coore and Crenshaw Inc. and since that time, Dave has worked on many of their projects. Although he still participates in developing golf course features, he spends most of his time on project setup and construction management. In addition to representing C&C as one of their design associates, Dave partnered with Dan Proctor in 1989 to start a golf course design firm named Bunker Hill. They have done several projects, most notably, Wild Horse G.C. in Gothenburg, Nebraska. When not on the road, Dave lives Scottsdale, Arizona. 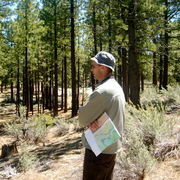 James is typically involved in the company’s preliminary site explorations, site planning, tree clearing, bunker construction and project management. He was the lead on the recent renovation of the golf course at Wykagyl Country Club in New Rochelle, New York. Educated in Denmark and trained as a civil engineer, James interned with a golf course consultancy in Aberdeen, Scotland, did thesis research on golf course design and construction at Cornell University, and worked for Tom Doak before joining Coore & Crenshaw in ’98. A keen student of land planning and building architecture, James now participates in a clubhouse design collaboration, and entertains ideas of developing a golf course facility in Northern California. He lives with his wife and family in New York. 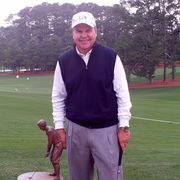 Scotty Sayers grew up in Austin, Texas and has worked with Ben Crenshaw as his agent/business manager since 1985. He began working with Ben and Bill Coore in their architecture business shortly after its inception and handles new business inquiries, contracts and scheduling for the company from the corporate offices in Austin, Texas. He is currently working on compiling a history of Coore & Crenshaw projects and hopes to have the two volume set published by late 2018. 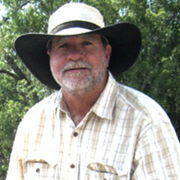 Scotty is a graduate of the University of Texas and has been married to his college sweetheart Julie since 1974. They have two daughters Samantha (married to Stuart Bernstein) 36, and Charisse 31 and two grandchildren. 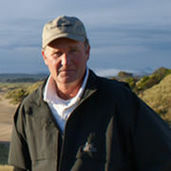 “Jimbo” Wright was born and raised in East Texas and started his career with Coore & Crenshaw in 1989 at the Plantation Course at Kapalua in Maui, Hawaii. It was at this beautiful site that Jimbo learned the ‘tricks of the trade” by working with two of the best dozer hands in the business, Mike McKay and his cousin, Jerry “Scrooge” Clarke. He says that his best teacher was probably Bill Coore. After the Hawaii job, Jimbo became a stalwart of the Coore & Crenshaw crew and today he is one of the most tenured members of the team, working exclusively with C&C. While he has worked on virtually all of the C&C projects, he says some of his most memorable projects have been The Sand Hills, Cuscowilla, Friars Head, Bandon Trails and Austin Golf Club. 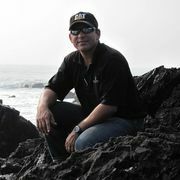 But he goes on to emphasize that each job holds great memories and experiences that are used as he goes to new sites. Jimbo feels that as a long-time employee of Coore & Crenshaw and as a leader on the team, it is part of his responsibility to help the newer members of the team succeed. Jimbo and his wife Gina live in Moscow, Texas on a small cattle ranch with their children, Timber Lea and Brayden Shane. When not working on a Coore & Crenshaw course, he stays busy watching over several head of Brangus cattle and a few ranch horses. Jimmy Craig has run a tractor for Bill and Ben since the late 90's. His talents were first noticed by Dan Proctor and Dave Axland of Bunker Hill while renovating the bunkers at Shady Oaks C.C. Jimmy's talents are a product of his surroundings during his formative years. Having spent those years tagging along with Mom and Dad he was either causing trouble in the pro-shop or riding in Dad's lap mowing greens. Jimmy began helping out just as soon as his lead foot could reach the foot feet. Hustling carts and picking range for candy bars and Gatorade were skills he quickly mastered that would later land him a position at 'SOCC' where “project Jim Craig” began for Mike Wright. Jimmy spent the better part of four years in Fort Worth under Mike's tutelage before being inherited by C&C. Over the past decade Bill and Ben have traveled the world sharing in their wonderful work and masterfully carrying the torch for project Jim Craig. Jimmy has cleaned the pool, vacuumed the bar, served on calcutta night, mowed greens, changed cups, made putts, washed clubs, sprayed greens, built greens, killed greens, seen greens, and dreamt of all kinds of greens. From contours to jackets his passions are blessed by the inspiration of so many greats: Mike Wright, Chip Graham, Ben Hogan, Byron Nelson, Dan Proctor, Dave Axland, Jerry "Scrooge" Clarke, James Edward Wright, William Coore, Ben Crenshaw and Dad are at the top of the list. Solomon wrote: “Just as iron sharpens iron, so one man sharpens another." Jimmy and his amazing wife Shea live back in Fort Worth now, where their three children Stefan, Mariah, and Ross continue to raise them. Jimmy and Shea pleasantly agree that this amazingly assembled team lead by two great masters, are writing history that they are both proud and honored to be a part of. "God and golf have never let us down." Jeff began his career in 1994 at Hot Springs Country Club in Hot Springs, Arkansas. After working toward a career in music for ten years it became clear that the inconsistency of the business and the late hours weren’t going to work for a man with a family. Golf was always a love of Jeff’s so he decided to investigate the maintenance aspects of the industry. 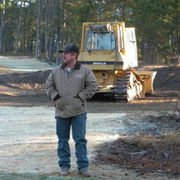 Shortly after joining the team at HSCC Coore and Crenshaw began a renovation project on the course. Jeff was placed on the finish crew, working closely with longtime C&C associate Dave Axland. Dave seemed to recognize something in Jeff and told Bill and Ben that he may have found the perfect candidate for a bunker shaper. Bill was looking for someone with creativity but without previous golf construction experience. After a few trial bunkers Dave offered Jeff the chance to go to the now highly regarded Sand Hills Golf Club to help with some last minute tasks before the opening in 1995. 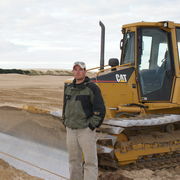 This solidified Jeff’s position with C&C and he has been their bunker shaper on all but one project ever since. 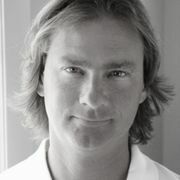 In 2001 Jeff started his own consulting and design firm. This allowed him to work with other architects and gain some experience outside the C&C firm. The first opportunity came in 2003. Dana Fry tapped Jeff to be a consultant on what he felt was the best piece of ground he had seen in years, Shelter Harbor Golf Club. In 2004, Jeff worked with Dave Axland to restore the bunkers on The Plantation Course at Kapalua Resort in Maui, Hawaii. The following year Kapalua contracted Jeff again to renovate the bunkers on their Bay Course, one of Arnold Palmer’s earliest designs. In 2005, while working on the latest C&C project, in Fountain Hills, Arizona, Jeff formed a partnership with longtime associate and friend Dave Zinkand. It was apparent that Jeff was going need some help to take his business to the next level and he felt Dave would be a perfect fit. Highly educated and extremely talented, Dave has the technical skills that are necessary to take on larger and more involved projects. Many of the courses Jeff has worked on are ranked in Golf Digest’s Top 100 Modern Courses in America including Friar’s Head, Bandon Trails, Seminole and Maidstone. Toby's first job was as a cart boy at age 13 in the small town of Borger, Texas and he has remained in the golf business almost ever since. From there he went on to golf course maintenance, then into the pro shop and then to golf course management. It seemed only natural that his next step would be construction/design. He began his career with Coore and Crenshaw during the construction of Friar's Head Golf Club in 2000. Other Coore and Crenshaw projects that he has worked on include Old Sandwich, Colorado Golf Club, We Ko Pa, Sugarloaf Mountain, and Dormie Club. He has also worked with Tom Doak on several projects including The Rawls Course at Texas Tech University, Stonewall Golf Course, and the Doak/Jack Nicklaus design Sebonack as well as a Rees Jones course, Ledgerock Golf Club in Reading P.A. Toby and his wife Cristina reside in Canyon, Texas where they stay busy raising their two daughters, McCall and Chloe and their son Christian. Keith began his career in 2002 when he went to work for a golf course construction company based in his home town of Lincoln, Nebraska. 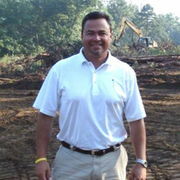 He gained experience in all aspects of golf course construction work including drainage, shaping, and finish work. When the company secured the contract to build the Colorado Golf Club, Keith was able to work alongside the Coore & Crenshaw team. Coore & Crenshaw were impressed to the point that Keith was put in charge of the Par 3 course. In 2006, Keith was officially added to the list of C&C associates when he joined the team of men assigned to the Sugarloaf Mountain project. He has represented C&C on various projects since that time including Lost Farm in Tasmania and Cabot Cliffs in Nova Scotia, Canada. He was also the lead architect in the heralded renovation of Winter Park Golf Course in Winter Park, Florida. Golf Enthusiast (biography written by Dan). Deena Zimmerhanzel handles the accounting, billing and bookkeeping duties for Coore & Crenshaw as well as travel arrangements for Bill and our Associates, and the company website. 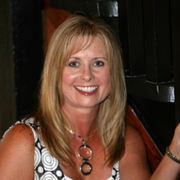 She has worked with the company since its founding in 1986. Deena is married with two boys. Janet Miller has worked at the Coore & Crenshaw home office since the company was formed in 1986. 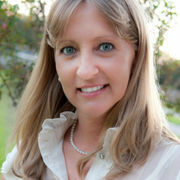 She handles marketing, client relations and staff travel. Janet is married and has two daughters.